5 Star Gold Award. Louth, Lincolnshire. An Exclusive Heavenly Hideaway. www.heavenlyhideaways.co.uk 5* Gold Exclusive & Luxury Home in the Centre of Louth. Welcome to one of Heavenly Hideaways exclusive holiday homes, Byford Lodge. Louth's only 5 STAR GOLD rated holiday home. This exclusive holiday home offers peace and tranquility and yet is only a few minutes walk from the centre of Louth, in the heart of the Lincolnshire Wolds. You are welcomed with a delicious homemade welcome hamper with freshly baked bread and cakes as well as a bottle of wine. Enjoy a soak in the roll top bath with skylight above or take in a movie on the widescreen tv with built in surround sound. 2 beautiful king size bedrooms both offer luxurious ensuite bathrooms. Bedroom 1 offers a king size bed and en suite bathroom with rolltop bath. Bedroom 2 offers either king size or twin beds with large walk in shower en suite bathroom. The open plan kitchen, dining and lounge area open onto the private terrace garden a perfect sun trap for you to relax and unwind. Every detail has been taken care of including luxury toiletries, bathrobes, as well as homemade meals that are always available in freezer to purchase, if cooking seems too much trouble! Our extras include: tea, coffee, sugar, luxury toiletries (hand soap, hand cream, body wash, shampoo and conditioner, bath soak and bath crystals) , cleaning products including dishwasher tablets and washing tablets, salt and pepper to save you on your packing. The restaurants, bars and unique shops, that make Louth such a special place, are only a few minutes walk from this exclusive holiday home. The private driveway provides secure parking for our guests meaning you don't have to take the car. I am a teacher and my wife Josie is a self employed product developer to the food industry who also runs our ever expanding holiday cottage business. Our daughter attends a local primary school. En-suite 1- Luxuriously appointed bathroom with toilet, sink, and double ended roll top bath with shower attachment. Enjoy soaking in the bath with a glass of champagne whilst watching your favourite TV show or gaze at the stars above through the large sky light. En suite 2- Large glass walk in shower with Bristan rain power shower. Toilet and sink. Both bathrooms are fully tiled in Italian Porcelain tiles with underfloor heating to warm your feet. Fluffy white towels are warmed on the heated towel rails. Both have illuminated bathroom mirrors. Bath towels and robes are provided for guests use during their stay along with toilet rolls, bath/shower gel, shampoo, conditioner and hand soap. Comfy leather sofas with designer cushions. Oak bifold doors bring the garden into the room. Glass roof lantern with views of the sky above. 50" Panasonic HDTV with cinema surround sound and Bluray DVDs. Glass coffee table. Dining table and 4 chairs. Top of the range fully fitted with cream units with granite worktop. Built in oven, 5 ring gas hob, stainless steel hood, integrated dishwasher, washer, fridge and freezer. Microwave, kettle, toaster, hand blender. Extensive range of pots and pans. Small secluded garden at the rear of the lodge with views of the mature garden and the Priory hotel grounds. The garden is sheltered and private being surrounded by Beach hedging and bamboo planters. We have many great golf courses within a short distance of the lodge. Louth Golf Club (1 mile). a well groomed, but challenging 6,411 yard 18 hole parkland course. With panoramic views over the Lincolnshire countryside, it is suitable for golfers at all levels of skill and experience. Complemented by a period clubhouse, putting green and practice areas, Louth Golf Club provides excellent facilities for both members and visiting golfers. Kenwick Park Golf Club (2 miles) - Designed by Patrick Tallack and opened in 1992 by ex Ryder Cup Captain Mark James. The course constructed on mature parkland is played over gently rolling terrain, many holes meander through woodland, while on others the golfer must negotiate a series of feature lakes. Woodhall Spa (20 miles)Voted No. 20 - The Worlds Top 100 Courses - Todays Golfers 2010. One of Britain's finest courses, The Hotchkin, is built on sandy soil which allows for year round play. Byford Lodge is all on one level with no steps so is suitable for people with mobility problems. There is a gentle slope up to the front door. Guests can park right outside the lodge on the private driveway. All doors are 2ft 9" wide for wheelchair access. Suction handles for the bath and shower areas as well as a shower chair are available upon request. Louth is an excellent town to stay in, with plenty of shops and restaurants. and a softer mattress. I have back problems so this might not be an issue for other guests. All in all we had a great time and can highly recommend Byford Lodge. amazing! josie is a wonderful host; from the booking process to the departure she has thought of everything to make it seamless and your stay as easy as possible. 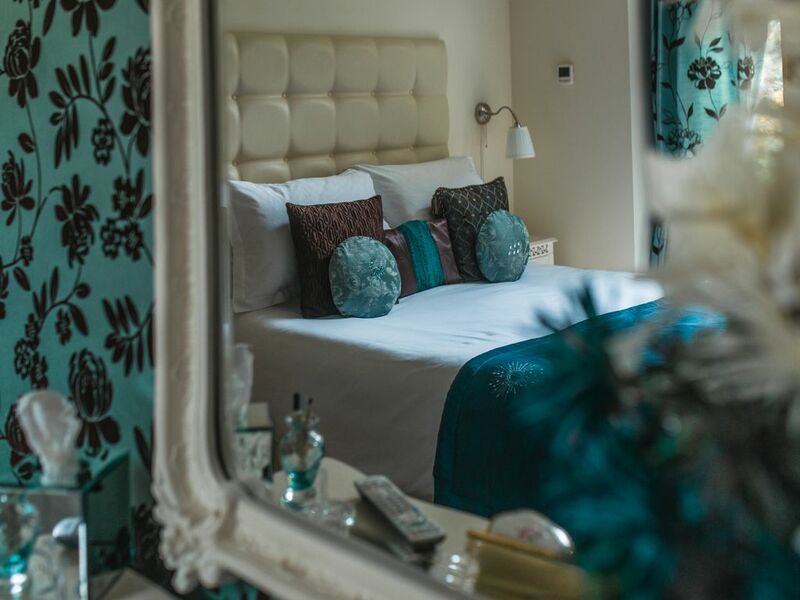 the apartment is stunning with so many gorgeous, personable touches giving a feel of luxury, splendour and humour. josie offers home made food - try it - it's gorgeous - you may even wish to take some home with you. highly recommended and can't wait to return. Everything you would ever need while being away. Thank you for the lovely comments we are glad you enjoyed your stay. Hope to welcome you back soon. There is not a thing that we could suggest to make our stay better. We loved every bit of staying at Byford Lodge. Thankyou for those wonderful comments ! We hope to see you again soon. Thank you so much for that wonderful review you were lovely guests to have and you've made our day with such lovely comments ! We hope to welcome you back to stay with us again. Mablethorpe (14 miles). Fine golden sand adorns the shore side of Mablethorpe beach. Cleethorpes (15 miles). An unspoilt fine sandy beach with gentle gradient ideally suited to playing beach sports. Donna Nook (16 miles). Famous for the seals who come here in late Autumn. Sutton on sea (18 miles). Ideal for all the family, beautiful beach and fabulous preserved Edwardian promenade. Skegness (23 miles). Bustling family resort. Humberside Airport- 20 miles away. P&O Ferries Hull -47 miles trips to Rotterdam and Zeebrugge. Railway stations - Market Rasen, Lincoln, Grimsby, Newark. As the lodge is in the centre of Louth all amenities are within walking distance so a car is not necessary to enjoy your holiday. Louth is a unique town with busy markets on Wednesday, Friday and Saturday and monthly farmers market showcasing the fantastic food Lincolnshire has to offer. There are lots of individual butchers, greengrocers, bakers, cheese shops, delicatessens as well as supermarkets Morrisons, Co-Op and the largest Aldi in the country. There are banks, post office and numerous pubs and restaurants too many to mention. Everything is on your doorstep.